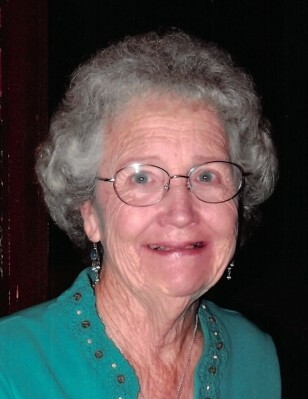 Lela Mae Watson Centineo, a resident of Walker, LA and a native of MS., passed away Wednesday, April 3, 2019, at the age of 85, peacefully at her home with her family by her side. Born February 28, 1934, she loved doing yardwork and going shopping. Lovingly known as “Coonie Bloomers”, she was feisty, fun, and loved her family with all that she had. She was a member of Plainview Baptist Church. Lela is survived by her son, Richard Beeson and Judy; step-son, Ricky Centineo and Lynn; and step-daughter, Bridgett Leger and Todd. She had 12 grandchildren and 18 great grandchildren. She is preceded in death by her husband, Joseph Centineo; parents, John T. and Georgia Watson; brothers, J.T., David, and Albert Watson; sisters, Mary Carney, Vergie Stephens, and Geneva Hansen; and step-son, Doug Centineo. Visitation will be held Monday, April 8, 2019, at Resthaven Funeral Home, 11817 Jefferson Hwy., Baton Rouge, LA 70816, from 9:00 am until funeral service at 11:00 am, conducted by Rev. Max Landry. Burial at Resthaven will follow. Pallbearers will be Ryan Beeson, Adam Beeson, Josh Jones, and Cody Reulet. Honorary pallbearers are Dave Rozas and Jacob Beeson. Special thanks to Markel and Latarsha of New Century Hospice for their wonderful care.